Would anyone know or have a list of the CF aircraft designation numbers. Or where I can find it. Eg CF-100 Avro Canuck. CC-130 Lockheed Hercules. I am looking for the numbers and the missing names and holes in the sequence. Thanks. I will try to make the list. I was hoping it was in number order 100 to 188 or greater. I am interested in the holes in the sequence and the little known aircraft and programs that don't not go. I have heard that number 102 was really the Avro company's internal number for the jetliner. But the RCAF did not use it to not confuse people. Cool learned that CH-178 is a Mil Mi-17-v5. 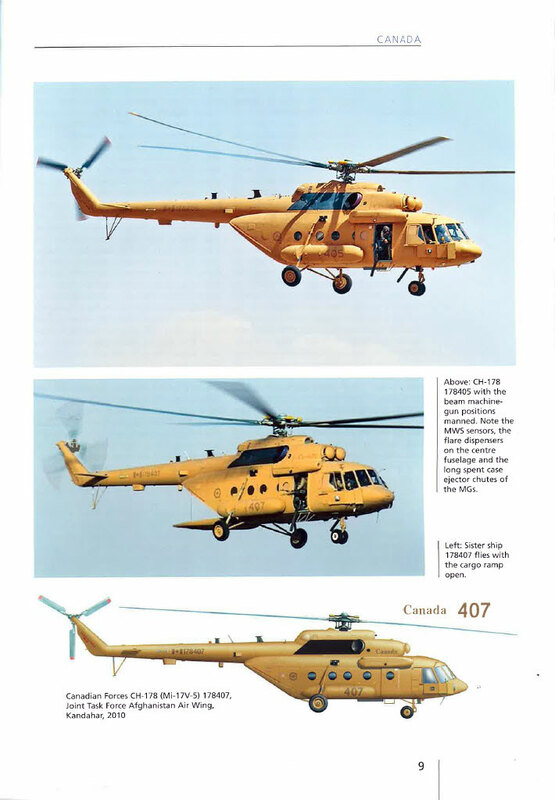 I would love to see pics of one with Canadian markings. I would suspect that there are no pics. You’ll be missing a few more holes from 188 to 295.